Judging from the multitudes of devil statues and other forms of occult architecture, the prince of darkness does, indeed, reign over planet earth. Stony beasts and devils—sculpted, cast and carved out of stone, marble, wood, metal, and plaster—are everywhere, all around us. In almost any city in the United States, one can encounter unexpected evil, sometimes staring you right in the face. Face to Face With the Devil unmasks thousands of loathsome architectural devils and hellish night creatures lurking at churches and cathedrals, civic buildings, department stores, airports, libraries, movie theatres, courthouses, public parks, and street corners. Who put them there, and why? And why do occultists and members of secret societies secretly honor, worship, and communicate with these devil idols? What in the name of hell is going on? 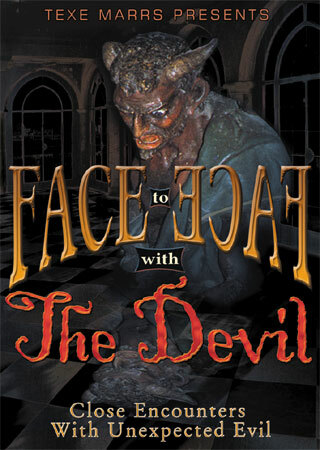 Face to Face With the Devil—a first ever exposé of unheralded wickedness!